SEO is important for all websites and SEO plugins are essential for WordPress websites. But what’s the suitable SEO plugin for you? Why another SEO plugin for WordPress? I’ve been using Yoast SEO plugin for years. Before that, I use All-In-One SEO Pack. Both are great plugins for WordPress. However, I feel they’re some kind of bloated plugins, especially Yoast SEO where you see a lot of banners, links to their website. I’ve been wanting something minimal and just works for my blogs. For this Deluxe Blog Tips, I rarely edit meta title or description and don’t need the content analysis at all. I wonder if there’s a better solution for my SEO needs. Then I discovered SEO Framework and SEOPress, two raising stars in the SEO area for WordPress. However, I don’t like the UI of them both and looking into their code (I’m a developer! ), I think I can code better. So, I make another plugin called Slim SEO. What does Slim SEO do? My goal is make it simple as possible. So, my first though was: why not making it work out of the box without configuration? 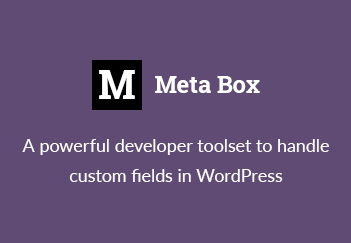 You don’t need to configure meta title tag, it’s automatically done by WordPress via add_theme_support( 'title-tag' ). We already do that hundreds times while coding themes. And I see that WordPress does this pretty well. And that’s the default in all other SEO plugins. Of course, other SEO plugins give you options to change the title, but for most users, it’s not needed. Most of the websites I see use post excerpt for meta description. And if a post doesn’t have post excerpt, then a generated version from post content is used. I wrote about that years ago. The article is old, but the concept is still valuable. And with that concept, we actually don’t need a configuration at all. When you want to customize meta description, then just use post excerpt or term description (for categories, tags and other taxonomies). It’s flexible and do the job very well. All OpenGraph and Twitter tags can be generated automatically just like meta title and meta description. You can see the og:title is just the meta title, og:description is just the meta description and og:image is the featured image. One interesting thing I found when coding OpenGraph and Twitter tags is some plugins don’t do this job well. I mean some of them don’t support many tags for OpenGraph and some of them output duplicated tags for Twitter. FYI, Twitter uses OpenGraph tags, so why duplication? Of course, Slim SEO outputs tags verbosely. Sitemap is always should be enabled. I don’t understand if you use a SEO plugin and turn of the sitemap. The only possible reason is the generated sitemap by that plugin is bad and you need to use another sitemap plugin. But in that case, the plugin should fix it, right? So, with Slim SEO, the sitemap is automatically generated. You can see the sitemap of this blog here. I like the beauty of sitemap created by Yoast SEO, so I applied a similar style for Slim SEO sitemap. It’s worth noting that the sitemap URL is automatically included in the robots.txt on your website, as you can see here. Automatically redirect attachment page to parent post: If you remember a crisis of Yoast SEO plugin last year, then this is a must for all SEO plugins. Yoast SEO allowed users to enable/disable this featured (again, why disable?). And in an update, somehow it sets the option to ‘disable’ and the rankings of many websites dropped rapidly. It’s a disaster for Yoast SEO. In other plugins, this option is available, but you need to turn it on. Slim SEO automatically sets this on by default. So you don’t need to care about it. Automatically add missing alt attribute for images: This is the feature you don’t find in other SEO plugins. With Slim SEO, when you insert an image into the post content, if there’s no alt attribute, it will take the image title and use it for alt. And if you use a bad-coded theme, where the theme author don’t output the alt for post thumbnail, Slim SEO also fixes that. All is automatically. I am a developer, and when I created Slim SEO, I want to use the modern PHP as much as possible. As you might know, WordPress developers are left behind other PHP communities for years. Because of the support for PHP 5.2 (which will be changed to PHP 5.6 April this year and PHP 7 by the end of this year), many WordPress developers don’t know how to use namespace, Composer, traits and other new PHP features. And the code of WordPress plugins don’t look great like a Laravel website. So, one of my goal is use modern PHP. That’s why I set the PHP version for Slim SEO is 5.6. With that, my code is very clean, minimal and easy to read and maintain. The bad or ugly code is one strong reason I avoid to use the plugins above. I see ugly code in SEO Framework and SEOPress that I can’t stand. Yoast SEO seems better at coding. The plugin is released on WordPress.org and you can install it by going to Plugins > Add New and search for Slim SEO. The source code is public on Github. And you’re welcomed to contribute to it. My plan is keep adding more features to this plugin, while keeping the configuration minimal as much as possible. The next things will be Breadcrumbs and Google Structured Data. If you have any idea for SEO in general and want me to implement in the plugin, please let me know in the comments. Tình cờ thế nào lại biết được blog của bạn. Phải nói là plugin này dùng rất thích. Mình sẽ dùng cho toàn bộ các site mới trong tương lai. Nhân tiện có giảm giá cho người VN gói lifetime Gretatheme ko bạn? Cám ơn bạn nhé! Bên mình hiện đang có coupon TETHOLIDAY cho bên GretaThemes nhé! This looks great! We typically use All In One SEO Pack because of this very reason; it’s very lightweight compared to Yoast. How would this plugin compare to AIOSEP’s features? It’s very lightweight compared to all of the plugins. In terms of features, Slim SEO has a good feature list. It does almost all things AIOSEP does. Keep on updating the plugin bro.. Thanks a lot for your review! I’ll keep adding more features to the plugin, to make it truly the best SEO plugin for WordPress! This is cool, hope to use it on my wordpress blog… is it possible? Yes, of course. It’s free and available on wordpress.org. Hello! I made a review in my blog about Slim SEO plugin. Thank!